It’s no secret that rock music has been lying dormant for a while. While pop and hip-hop have been dominating the charts now more than ever, new rock music tends to be cast aside lately. 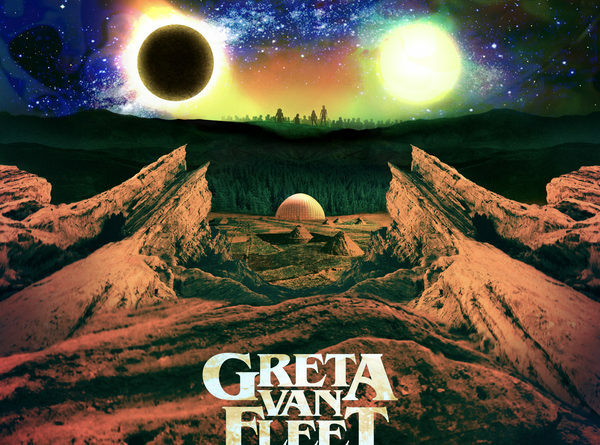 Enter Greta Van Fleet: a young and hungry new band who released their debut studio album, “Anthem of the Peaceful Army” on Oct. 19. And just this week, their new album hit #1 on the Billboard 200, debuting at #3 when it was first released. Having formed in 2012 in a small town in Michigan when they were just in high school, Greta Van Fleet consists of 22-year-old twins Josh and Jake Kiszka, 19-year-old bassist and younger brother Sam Kiszka, and 19-year-old drummer Danny Wagner. They were signed to Lava Records in March of 2017 and released their first EP, “Black Smoke Rising,” in April that year. Just a year earlier, one of their very first singles, “Highway Tune,” was featured on the Showtime hit series, “Shameless,” which sparked a small amount of attention from listeners. While there is no denying their ‘70s style and influences, to simply dismiss them as another band feeding off previous rock stars’ success (as some critical reviews have implied) would completely disregard the band’s true effort to resurrect the spirit and energy of hard rock that so many other bands have either abandoned or ignored. Plainly speaking: it just sounds really, really good, so who cares? “Anthem of the Peaceful Army” is truly a gem of an album for 2018. As a fan of ‘70s rock music myself, it’s invigorating to see a band modernize the genre and the decade. Right from the beginning, Greta Van Fleet injects you with the same amount of energy they most likely had while writing the songs. The nudge-nudge-wink-wink nature of this just proves that Greta Van Fleet are here to have fun and are aware of but are less concerned about who they may or may not sound like than their listeners. Well played, boys. Admittedly, songs like “The Cold Wind” and “Lover, Leaver (Taker, Believer)” pay homage to their supposed heroes of a previous generation, while the potential sleeper -and a personal favorite song of mine – “Watching Over” also incorporates some psychedelia in the mix. The soft and slow ballad “You’re The One” and the more mellow “The New Day” is a personal reminder of Heart and the Wilson sisters with their similar light-hearted acoustics. And of course, this wouldn’t be a proper review unless I talked about the hit single, “When the Curtain Falls.” Hearing it on the radio more times than I’ve actually heard the album, I have to say that each time it comes on is just as fun as the last. I’ll admit, it may not be my absolute favorite from the album, but it definitely stands out. Lyrically, the song evokes images of a Hollywood movie star/diva, and musically, its speedy guitar solo and funky bass line can easily keep you moving until the end. Every band member has their chance to shine in this song, and they clearly take advantage of it. The remainder of “Anthem of the Peaceful Army,” specifically the tracks “Mountain of the Sun,” “Brave New World,” and “Anthem,” literally and figuratively complete the record. The first of these three, much like “You’re The One,” is a sweet love song that also appeals to their fascination with nature, while “Brave New World” is another stand-out piece due to its surprisingly more down-tuned instrumentation, demonstrating that the band may have more tricks up its sleeve than listeners might realize. Finally, the latter track allows the album to musically come full circle, as it ends with yet another irresistible acoustic melody. Throughout the entire album, the songs all tend to have a similar sound, but singer Josh Kiszka’s wailing and unrelenting vocals as well as Jake Kiszka’s electrifying (no pun intended) solos undoubtedly keep it interesting. After hearing this, even if they continue to have cynical critics by their next album, it goes without saying that this band is going to go far. If they possess the same amount of energy on stage as they do in the studio, it’s no wonder their shows continue to sell out across the globe. Not to mention, anyone approved by Elton John just can’t be overlooked. So if you’ve been on the fence about this band for the last couple of years, or if you’ve never heard of the band until now, give them a chance. Try not to think of them as four young men stuck in the ‘70s. Think of them as four young men bringing some good, old-fashioned rock ‘n’ roll back into the 21st century.